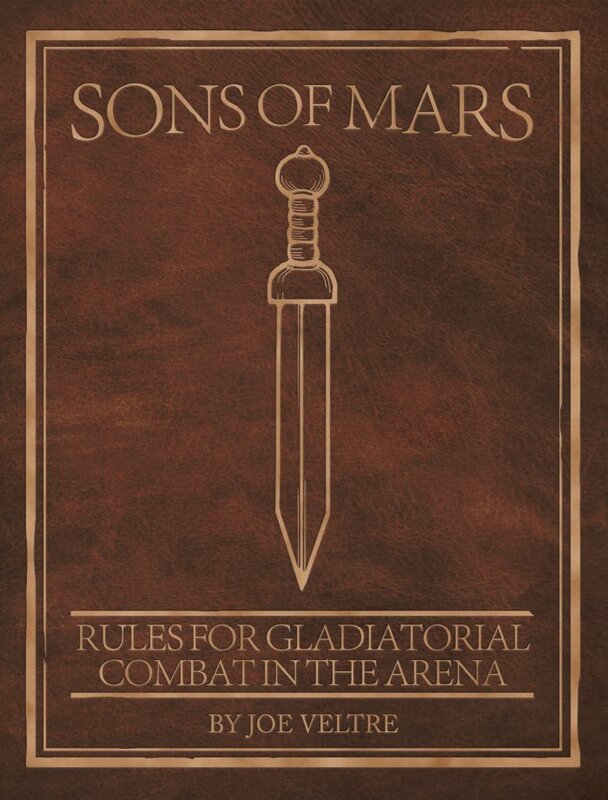 Sons of Mars is a rule set that gives players the ability to recreate the gladiatorial games of ancient Rome on the table top. Build your ludus from the ground up and take to the sands of the arena with a deep campaign system that has gladiator progression, ludus expansion, special events and much more. Inside this book you will also find rules for 17 classes of gladiators, 10 beasts, over 20 different match types, 4 Roman festivals with themed matches, 40+ NPCs (Non Player Characters), plus rules for campaign and solo play. The arenas crowd is chanting your name, will you answer their call? 83 page, full colour soft back rulebook. PLEASE NOTE IMAGE IS FOR ILLUSTRATION PURPOSES ONLY NO MINIATURES INCLUDED.